Everyone football fan knows Copa Del Rey, so why shouldn’t you? Being founded in 1903, it is actually the oldest Spanish football competition right now. If you are looking for a factsheet, comprising all the information about the cup, then you are on the right page. In this article you will find the history of the cup, the course of the last year’s competition, comprehensive statistics and all other important data you would like to have. Its first edition was played in 1902, after a FC Madrid’s president suggestion to celebrate the coronation of a King Alfonso XIII. Four teams joined Madrid FC for the competition: FC Barcelona, Club Español de Foot-Ball, New Foot-Ball de Madrid and Club Bizcaya (actually the later winner of the Cup, beating FC Barcelona in the final). Club Bizcaya was team made up of players from Athletic Club and Bilbao FC. Copa del Rey was Spain’s national championship, until they founded their league in 1928. The name was changed many times during its 115 years, especially in the period of Franco’s dictatorship, however one thing did not change at all – two teams, Barcelona and Athletic Bilbao won the Cup the biggest number of times. It is respectively 29 and 23 times, outclassing other biggest Spanish teams (like Real Madrid with 19 cups or Atletico with only 10). Actually, when we look at the top scorers of all time table, we can see Real Madrid and Barcelona appearing most frequently next to the player’s name, however the best player here in all time is Teimo Zarra – a legendary Athletic Bilbao’s striker, who scored 81 goals, participating in 18 editions of the cup. On the third place we have Guillermo Gorositza, who played for Valencia, but is most known from his career in Bilbao, where he scored 37 out of his 62 Cup Goals. The current cup holders are also FC Barcelona, who won their 29th Copa del Rey against Deportivo Alavés at the 2017 Copa del Rey Final held at the Vicente Calderón Stadium. 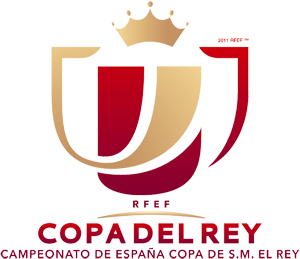 Copa del Rey’s 16/17 edition comprised 83 teams, including teams from Primera Division, Segunda Division, Segunda B and Tercera league. Reserves teams like Barcelona B or Valencia Mestalla are not eligible to play in the competition. From the 1/16 round, the Cup gains an edge, when all the La Liga teams are starting to participate. There were surprises, however, as two teams from Segunda Division eliminated already two from Primera. Cordoba won with Malaga and Alcorcon defeated Espanyol. In the next round, Alcorcon met with Cordoba, therefore automatically limiting the chance to have two Segunda Division teams in higher rounds. Alcorcon got to the quarter-finals, where they were defeated by Alaves – this year sensational forerunner. After Alcorcon’s elimination, we had only Primera Division teams. Sensational as well was the disposition of Celta Vigo this year. They managed to reach the semi-final in Copa del Rey, defeating on their way Valencia and Real Madrid (! ), as well they were close to get to the final in the clash against Man Utd in the Europa League’s semi-final. In the semi-finals stage we saw the rivalry between Atletico Madrid and Barcelona and Celta Vigo and Alaves. Both clashes were much tied, ending with a narrow win of the second team. Barcelona won the double match 3-2, while Alaves ended the double rivalry with 1-0. Now everything was to be decided on the 27th of May 2017, on Vicente Calderon. The Cup Final was also the last official match played on Vicente Calderon’s, as Atletico is moving to a new stadium, ending a kind of époque for them. This clash was by many announced as a fight between David and Goliath. Barcelona had previously played in 39 Copa del Rey finals, tied only with Real Madrid's 39, while holding the record of 28 victories. They were also the reigning champions, having defeated Sevilla 2–0 in the previous year's final at the Vicente Calderón in Madrid. This was their fourth consecutive final, and they were seeking a third consecutive title. On the other side, Alaves, being a much smaller club from Vitoria-Gasteiz in Basque Country, were playing in their first Copa Del Rey final, alluding to their best 2001 season, when the reach the UEFA Cup final, losing slightly to Liverpool (4-5). Actually, Alaves got their first victory after coming back to La Liga, winning with Barcelona – 2:1 in September 2016. Actually, the revenge match ended with a stunning Barcelona’s victory – 6:0 on Mendizorrotza in Alaves. The match, played on the 27th of May, gathered 45,000 spectators on Calderon, who watched a 3-1 victory for the Catalans. Actually, all the goals were scored during the game-breaking 18minutes, which set the course and the final result of the match. It all started from Messi’s goal in 30th minute. He shot left footed from just outside the penalty area to left corner of the net. Then, 3 minutes later, Theo Hernandez equalised with a long range free-kick to the left corner of the net from the right of the penalty area. Next two blows were inflicted by Barcelona, who scored in 45 minute and in the third minute of the time of to first half. First, it was Neymar, who put Barcelona back in front, finishing a low cross from André Gomes on the right. And then Paco Alcacer, with a right foot finish from six yards out after Lionel Messi had made a run into the penalty area, passing three Alavés defenders and flicking the ball to him. And that is how the 29th CdR victory went to FC Barcelona. Founded at the 29th of November 1899, the Catalan side is actually among the oldest teams in Spain and in Europe. The club has quickly become a symbol of Catalan culture and Catalanism, hence the motto "Més que un club" (English: "More than a club). It is the second most valuable sports team in the world, worth $3.56 billion, and the world's second richest club when it comes to revenues, having an annual turnover of €560.8 million. Domestically, Barcelona won 24 La Liga, 29 Copa del Rey, 12 Supercopa de España, 3 Copa Eva Duarte and 2 Copa de la Liga. Although Barcelona had to give way for Real Madrid when it comes to La Liga and Champions League competitions this year, they still can count this season as one of their successful ones. They finished second in Primera Division and reached the semi-final of Champions League, having recorded a fantastic comeback in the quarter-finals double match against Paris Saint Germain. To end this fantastic season, they won the Copa del Rey title for 2017. Therefore the next season will start from the El Classico in Supercopa (Real as the league winners and Barca as the cup winners). Of course, the biggest contribution the final success has the amazing MSN trio (Messi – 54 goals and 18 assists, Suarez – 36 goals and 17 assists and Neymar – 23 goals and 20 assists). Apart from them, it is also a very creative midfield, who basically starts all the actions, Iniesta, Rakitic and Busquets constitute another killer trio. Defence, commanded by a solid, strong Pique takes care of every danger starting in their half. Barcelona is known from their quick, technical football, with lot of fast, short passes and high pressing. Statistics are one of those fields, which for some can be the most exciting. All the data concerning goals, cards, assists, ball possession, form, predictions for the future matches and many others in one place. If you are one of those, who takes pleasure in analysing every game or each of the teams, then this section is for you. The winners from Barcelona are also the team, which scored the highest number of goals – 24, which gives them an impressive average of 2.67 goals per game. Even a bigger average has Real Madrid, who scored 22 goals, however played in 3 matches less than Barca, therefore ending the competition with 3.67. Then on the third place we have the semi-finalist – Atletico – who scored 21 goals, having the average of 2.63 goals per game. It is also worth to notice the fantastic scoring disposition of Segunda B’s Lorca CF, which scored 12 goals and has the average of 6.00 goals per match. On the other side we have who unfortunately conceded the highest amount of goals –here the infamous leader is the team SD Formentera, conceding on average 5.00 goals per match (25 in total). Then we have Leonesa with 17 goals conceding and the average of 3.40 goals per game. And the third place is divided into two teams – Guijuelo and Lorca CF, both losing 12 goals, however Lorca having the worst average in the ranking – 6.00 goals conceded per match. The current titleholders – Barcelona – conceded only 9 goals, which gave them an average of 1 goal per game. Probably the most important of individual stats – the best scorers in this Copa del Rey’s edition. Wissem Ben Yedder and Lionel Messi were awarded the first place here, scoring both 5 goals. However, it is the French striker from Sevilla, who had been more impressive, scoring these goals in only 5 matches. Messi played in few matches more. Automatically, Ben Yedder has the average of a goal per game, while in case of Messi it is 0.6 goals per match. Then we have several players, which have 4 goals – Griezmann, Suarez, Vitoria, Correa, Turan, Mendez, Piovacarri and Juanmi. It would not be possible to score any goals without the magical last passes. Messi is leading this classification with 3 assists, coming before Griezmann, who had 2 assists. Theo Hernandez and Manu Garcia, both also from Alaves, then we have four players from Barcelona – Suarez, Umtiti, Neymar and Messi and Atletico’s captain – Gabi. Summing up a bit the competition, last year we saw Barcelona’s triumph and amazing Alaves’ performance, which ended as the forerunners, qualifying for the Europa League this season. The incoming edition will be at least as exciting as the last one, as Barcelona will try to defend the title, while Real Madrid, Atletico or Sevilla will try to take revenge for this season. On the other hand, we can have dark horses like Alaves, or it could be Alaves on its own, uplifted by this successful season. The first round will be held soon, at the 30th of August, 2017. For sure it is worth to check regularly the fixtures, their results and drawings of the next rounds. The final of the whole competition is planned for the 21st of April, 2018.